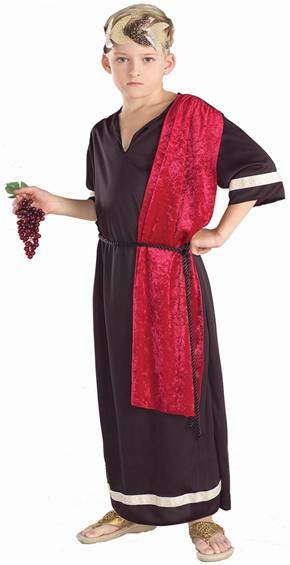 COSTUME INCLUDES LIGHT PANNE VELVET TUNIC WITH GOLD DETAIL, SHOULDER DRAPE AND HEADPIECE. 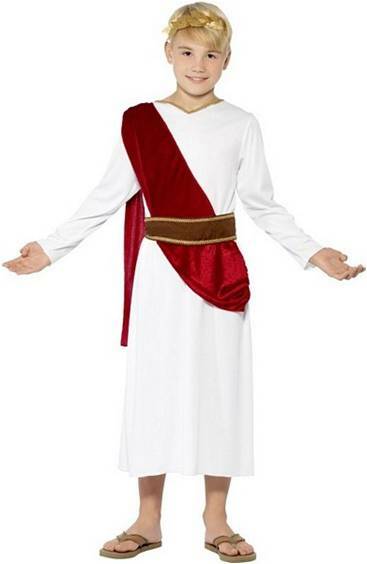 ROMAN CEASAR COSTUME CONSISTS OF WHITE ROBE WITH PURPLE SHOULDER SASH AND ROPE BELT AND GOLD LEAF HEADPIECE. ONE STANDARD SIZE FITS AVERAGE MAN UP TO SIZE XL. Includes robe, belt and headpiece.